Flip 2 coins. For each heads, this attack does 100 damage to the defending KotOR. Flip 2 coins. 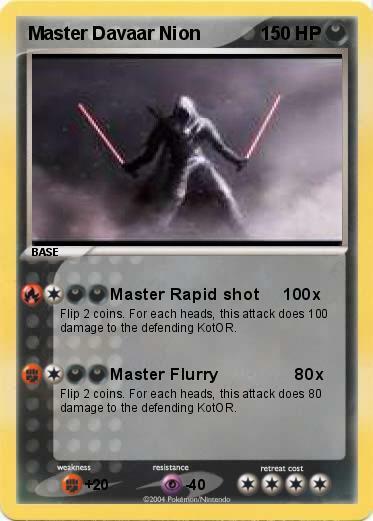 For each heads, this attack does 80 damage to the defending KotOR.